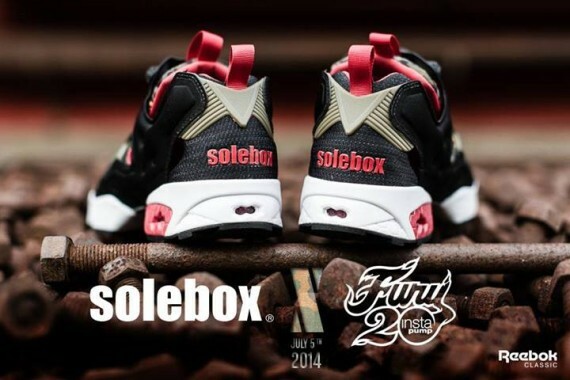 On la connais enfin, la date de sortie de la collaboration entre Reebok et Solebox. Comme on peu le voir sur cette photo Teaser, on remarque que le nom de la boutique est inscrit sur le talon. On sait déjà que la paire sortira le 5 juillet chez Solebox en attendant une vue général de celle ci. One know her finally, dates her release of the collaboration between Reebok and Solebox. As one little to see him on this photo Teaser, we notice that the name of the shop is registered on the heel. We already know that the pair will take out on July 5th to Solebox while waiting for a view general of that this.